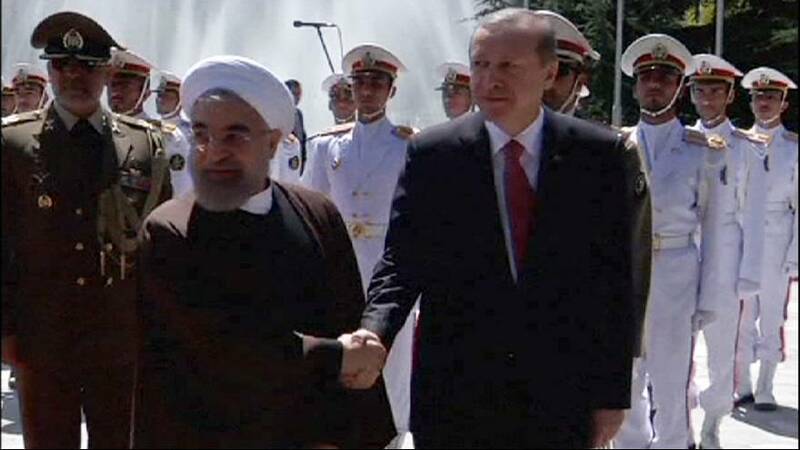 There was a warm greeting in Tehran for Turkey’s President Recep Tayyip Erdogan from his Iranian counterpart Hassan Rohani – despite marked differences between the two countries over some of the Middle East’s hottest issues. Erdogan has accused Iran of trying to dominate the region via its involvement in Yemen, Syria and Iraq. Tehran conservatives had called for the one-day visit to be cancelled in protest. But at a joint news conference the tension was put to one side. “We both believe that we want to see an end to the conflict and bloodshed in Yemen. The attacks by other countries in Yemen must stop”. Iran is aligned with the Houthi rebels; Turkey backs the Saudi-led coalition without actually taking part. President Erdogan also steered clear of the countries’ differences. “We should get together and talk about (the Yemen conflict) and negotiate.Together we should end this bloodshed,” he said. If both leaders were arguably short on detail on how to solve the complex Yemeni conflict, the main reason for the visit was to strengthen economic ties. A total of eight new deals were signed, the two governments having agreed to boost trade. Despite the friction over regional policy, analysts say both sides are economically dependent: Turkey needs Iranian gas, and sanctions-hit Tehran badly needs export markets.